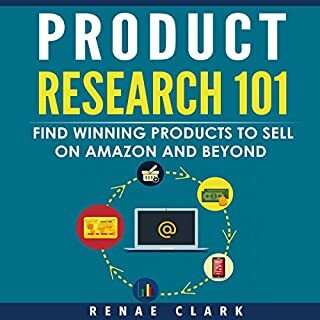 Most comprehensive book on eBay, Amazon, Shopify. Do you want to make 10K a month? Do you want to learn everything about dropshipping? Do you want to learn how to private label? Could your life be better with extra revenue? When you download Dropshipping: Blueprint to $10K a Month, your money-making skillset will improve steadily each day! You will discover everything you need to know about dropshipping. Publisher's note: This expanded second edition of Dropshipping has fresh new content to make learning dropshipping even easier than before! These effective and very profitable tips will transform your wallet and lifestyle. You'll be excited to see your wallet and business take you to new heights than ever before. This book breaks training down into easy-to-understand modules. It starts from the very beginning of dropshipping, so you can get great results - even as a beginner! Download Dropshipping: Blueprint to $10K a Month now and start transforming your life today! What disappointed you about Dropshipping: Blueprint to $10K a Month? 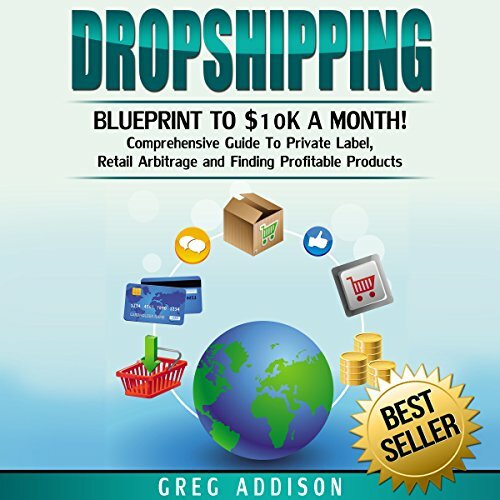 There were many references to using software or apps to make drop shipping easier but no examples of what these are or where to find them.The book seems to have good detail on what drop shipping is but just needed to cover the how of drop shipping. What would have made Dropshipping: Blueprint to $10K a Month better? 1) Most of the information contained within ranks barely above the level of common sense, except for the entirely inexperienced. 2) Despite the constant and repetitive use of numbering every single "step" of every process, across every chapter, the explanation for each bullet point rarely exceeds that step's title. I just saved you 2 hours. That right there is the extent of the "meat" in this book. Has Dropshipping: Blueprint to $10K a Month turned you off from other books in this genre? Who would you have cast as narrator instead of Martin James? Windows98 text to speech robot. The 5 minute sample you can hear for this book is better than others within this genre. It sounds like it's going to be a step by step guide instead of the usual -- "Are you tired of working!? Well this book will teach you EVERYTHING you need to know to be a millionaire by tonight!" The start of the book is written at about a 10th grade reading level, and by the end its about 6th grade. The guy obviously got tired. I already have a company but this book helped me to rethink some strategies. very informative. I loved it and highly recommend. Selling online is not easy. But this dropshipping really an answered prayer for a starter in an online business like me. I am really interested in tapping the international market without having to buy and stock inventory. And with this book, everything is possible. 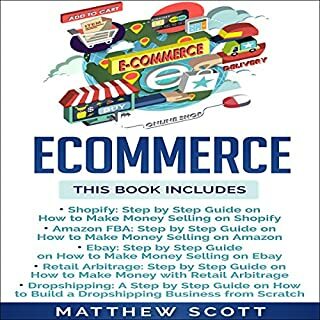 Really i found this book very useful where it has explanation regarding pros and cons of dropshipping and tricks and helpful strategies and everything about the business and a well discussed Audio book with much information. Good guide of dropshipping for beginners and not only beginners. There you will find out plus and minus of dropshipping, different methods and a lot of useful things.Lot of informative information. 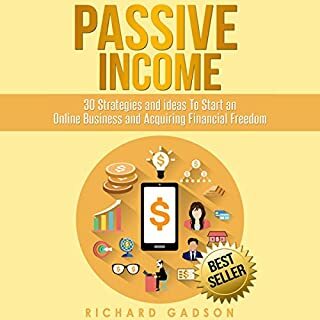 Having a passive source of income is one of the best ways of earning an extra income, improving your lifestyle, and getting ahead in life. The most convenient yet affordable way of setting up a passive source of income is starting a dropshipping business. The book is about Dropshipping.This is the easiest business now. It is active business at first but with the drop-shipping techniques here. Kudos to the Author. An amazing Audio book on Dropshipping. 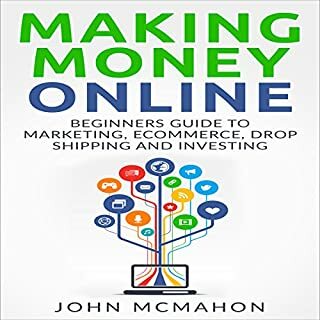 This is an ideal book to grasp drop shipping, I examine drop shipping in an exceedingly book associated with passive financial gain therefore i purchase this book to browse it well as a result of i'm extremely interested to try and do dropshipping. 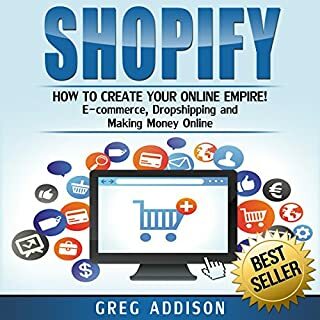 Since I am planning to engage in an online business, a good friend of mine referred this Audiobook by Greg Addison to me. Drop shipping really provide an easy way to get started and the ability to leverage other people's capital without having to invest thousands of our own. I believe when managed correctly, it can form the foundation of our own successful online store. This is book is very effective and worth my time. In this generation selling through online is a trend since everybody are active in social media. And this reference is a good guide to start online business and maximize our profit. For me Drop shipping is an extremely popular business model for new entrepreneurs, Millennials, due to internet marketing skills far outweighing financial capacity. 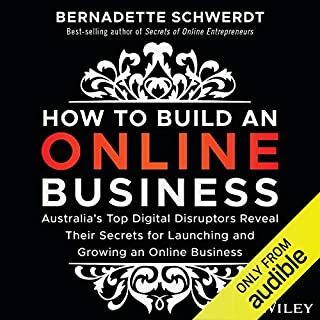 What i liked about this Audiobook, aside from the good audio, it has simple definition, list the benefits, show how to find drop shipping wholesalers, and give solutions to some common problems associated with drop shipping. Thumbs up for both narrator and author.